The share price performances of ComfortDelgro, Genting Singapore and Venture Corporation in 2Q18 clearly show that the market is hungry and quick to reward underdogs and vice versa. 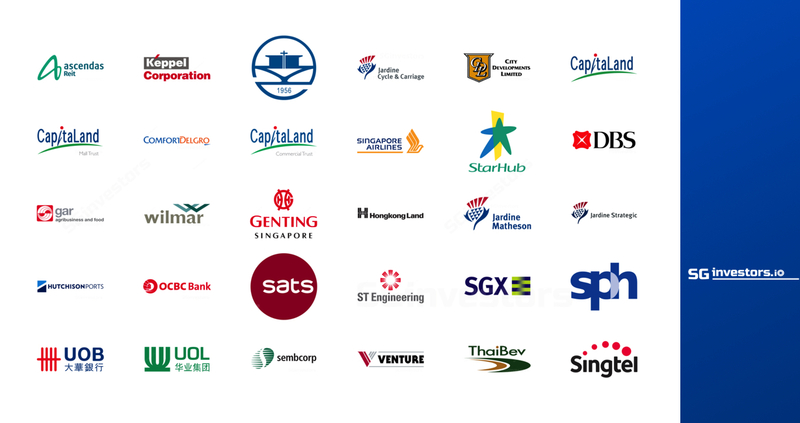 SingPost, ThaiBev and SPH could be the next three large-cap candidates. ComfortDelgro (CD) turned out to be the best out-performer YTD as competition in the ride hailing space is perceived to be easing post the merger of Uber and Grab. Structurally, we think there is no significant change in its earnings profile in the near term. The company will still see slight decline in earnings (-1.3%) in FY18F and the hype over the seven small investments it made recently amounting to S$140m (assuming target return of 10%) have been factored in the Bloomberg consensus forecasts, in our view. higher EBTIDA margin of 53.2%. We still like the stock as the company’s strategy to loosen credit has worked well, as seen in 1Q18 as its VIP market share improved to 49% from 37.1% in FY17. However, its share price performance may be capped in the next quarter as its 2Qs are seasonally weaker. Venture Corp’s fate took a turn in 2Q18 as the +30% rise in its share price in 1Q18 was wiped out following a short-seller’s report and as Phillip Morris lowered its guidance on sales of its e-cigarette device IQOS (which Venture Corp supplies parts to) in Japan. We believe its earnings is still on track to grow 16% in FY18F with stronger 2H18F. Nonetheless, we think the stock's 107% surge in 2017 still leaves room for investors to cream some profits. We highlight three names that could yield more than 10% capital returns in the next 6-9 months. Thai Beverage (Rating: ADD, Target Price: S$ 0.98). We recently upgraded the stock from Hold to ADD (see report: Thai Beverage - 2QFY18: Downside Risks Priced In). Thai Beverage's share price has been beaten down by more than 14% YTD (2016: +8%) amid uncertainties relating to its SABECO acquisition and elevated balance sheet risks, but we think the downside risks are priced in. It is currently trading at CY19F P/E of 16x or 1 s.d. below its 5-year average mean of 19x. We note the last time it traded at such levels was at end-CY15 when net profits were lower at THB4.2bn- THB5.9bn per quarter vs. THB6.3bn in 2QFY9/18. Thai Bev is a cheaper proxy vs. Thai-listed stocks to ride the positive spillover from the anticipated short-term spike in food & beverage sales during the World Cup in 2H18F, in our view. Singapore Post (Rating: ADD, Target Price: S$1.59). The worst could be over for Singapore Post. Its e-commerce losses are narrowing and the impact from the changes in terminal dues system was finally known in 4Q17 as its postal services operating margin fell to 20.5% (9M17: 24%). This could be the bottom. We expect to see some relief in the quarters ahead from ongoing measures to implement higher postal rates across all of its customers and bilateral negotiation with other countries. Key potential catalysts are faster-than-expected e-commerce turnaround and further strategic partnerships. The stock is trading at 23x CY19F on the back of +c.19% y-o-y earnings growth in FY19F. Singapore Press Holdings (Rating: HOLD, Target Price: S$2.49). The recent change in its management (CEO and CFO) and better communication on its growth strategy via asset management could restore investors’ confidence to re-rate the stock as a yield play (c.4%), the stock is also not widely covered.